Love, money, drugs, fear and success were all on display at Motel 21 this past December, an interactive art exhibit that celebrated the release of 21 Savage's sophomore album, I Am > I Was. Located in a dreary area of East Atlanta — more often referred to as the underserved area of Zone 6 — the two-story motel served as a reflection of where 21 Savage grew up, and how that is vocalized in the music that he makes. In fact, on the other side of the street from the motel, marks the spot where his brother was killed; a tragedy which he recounts on the album's opening track "A Lot." The words "No Vacancy" were slathered across the building before attendees encountered the first glimpse at the exhibit: crayon-drawn butterflies with bullets for bodies, and words from his album. Among them: "Monster," "Friends," Smoke," "I Am" and "I Was." Curated by Skye Williams and Antwanette McLaughlin, Motel 21 was divided into 12 rooms, each of which represented a song on his album. Much like the exhibit itself, I Am > I Was balances the notion of self-improvement and self-assurance while highlighting the disparity between 21's values and experiences. For instance, in a smoked-out room filled with (presumably real) guns and sculpted ottomans made of gold bullets, the chilling "Gun Smoke" echoes, while elsewhere in the motel, 21, Gunna and Lil Baby rap about their necessity to protect themselves on "Can't Leave Without It." In another wing, an ATM sporadically dispenses money on beat as a semi-clothed dancer takes the pole to "A&T" and actors yell to "make it rain," which complements the red-lit boom-boom room a few doors down, where an actress is lying on a bed of roses as "Out For The Night, Pt. 2," which samples Carlos Santana's "Samba Pa Ti," plays softly in the background. In a stark contrast, 21 Savage forgoes the sexual conquests and bravado to speak of loneliness, failed friendships and disloyalty on songs like "Ball w/o You" and "Padlock." At his best, 21 Savage raps consciously and calculated, allowing a multi-faceted project to emerge from the trauma. However, the beauty of 21 Savage's latest album is in his delivery. Experimenting with vocal range and control has been one of the 26-year-old rapper's distinguishing qualities, but for this album, he presents a deeper range that matches much of its sinister content; it also complements the moments of insecurity and reflection. 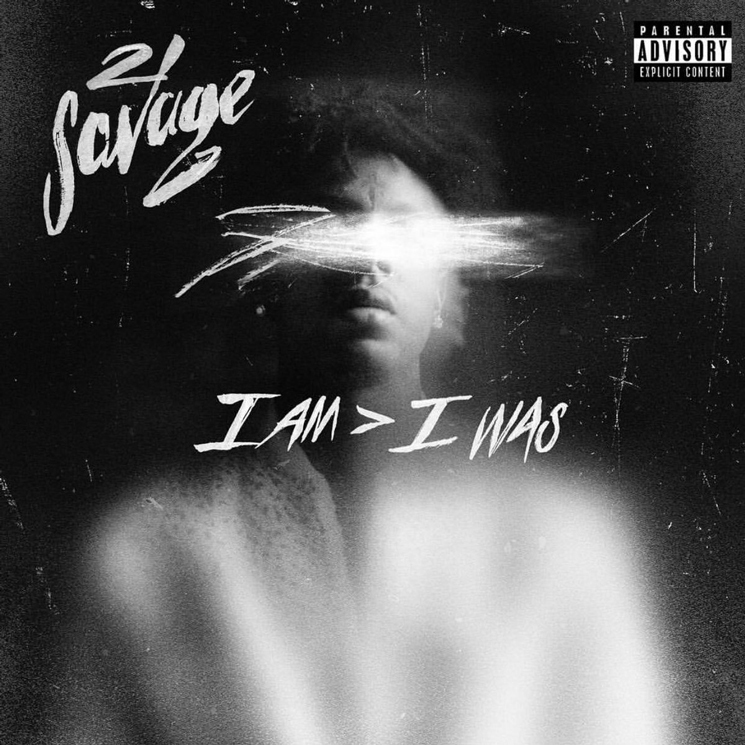 Playing in a room filled with bean bags and visuals projected onto the screen, that duality is captured once more as 21 Savage raps directly to his mother on "Letter 2 My Momma" saying: "I seen you strugglin', I think it left a scar / I did some things when I was young that broke your heart." Despite the troubles he's faced (and caused), 21 confidently states in the chorus, "I know you proud of me, but I'm proud, too."